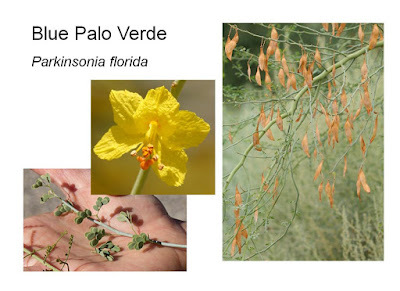 Some sites say that only the Blue Palo Verde is the AZ State Tree. But we're going to take both of them! Trees are not in a special category of plants; they are simply big plants. 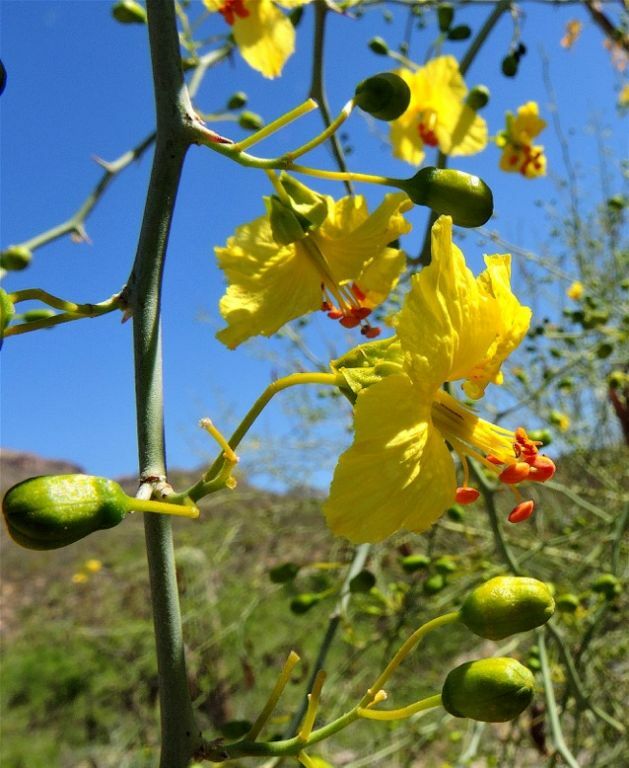 The Blue Palo Verde blooms first around mid-March. 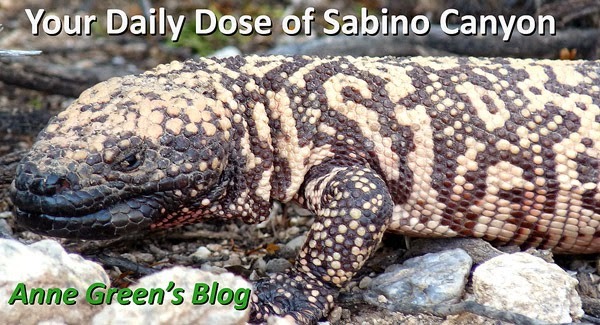 When it has leaves, they are larger than those of the Foothills Palo Verde. Both can drop their leaves in drought conditions with no (major) ill effects; they can continue to photosynthesize in their stems and branches. 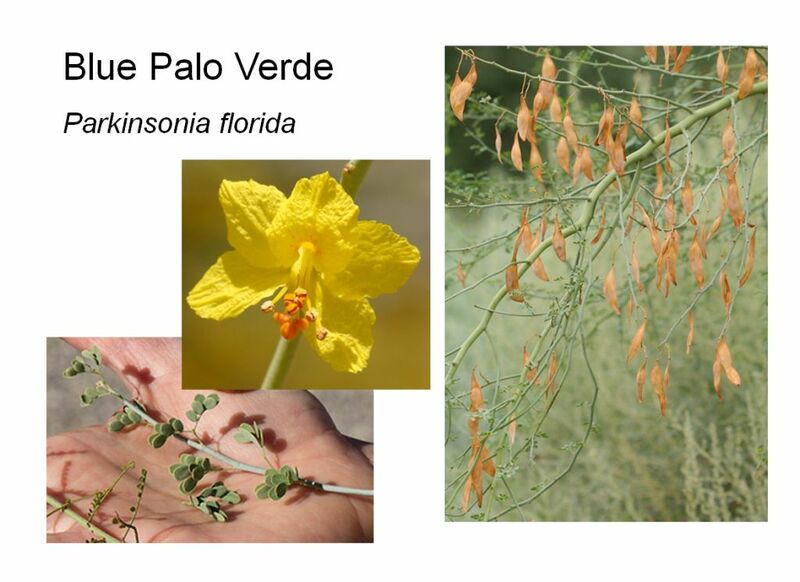 The Blue Palo Verde has a 5 petaled flower, as you'd expect. All 5 petals are the same bright yellow. 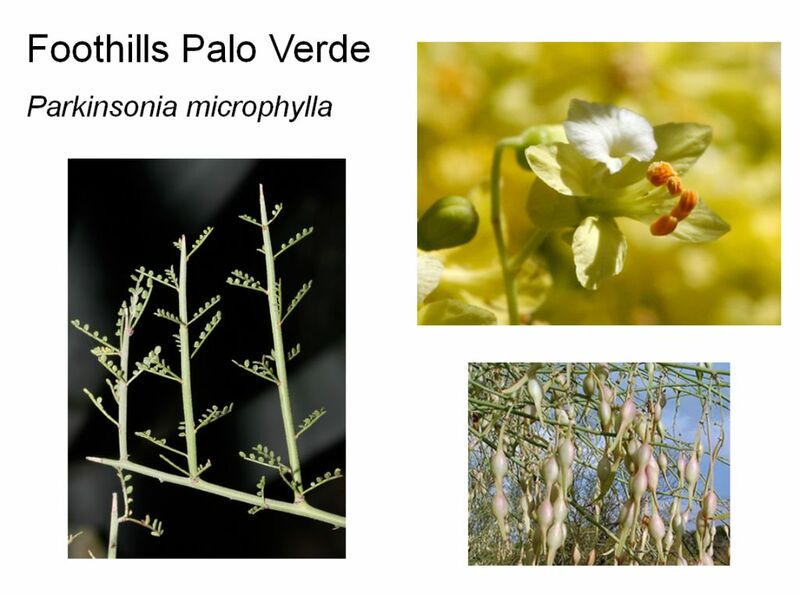 The Blue Palo Verde blooms earlier than the Foothills Palo Verde. The fruit is a pod. Dried fruits in the photo above. The Foothills Palo Verde has tiny leaves, but still the same line-down-the-middle-leaf-on-either-side pattern. The flower is 5 petaled with a white banner petal. When the fruits are first developing (bright green), they are tasty, like a snow pea. Our state trees are perfect peas.